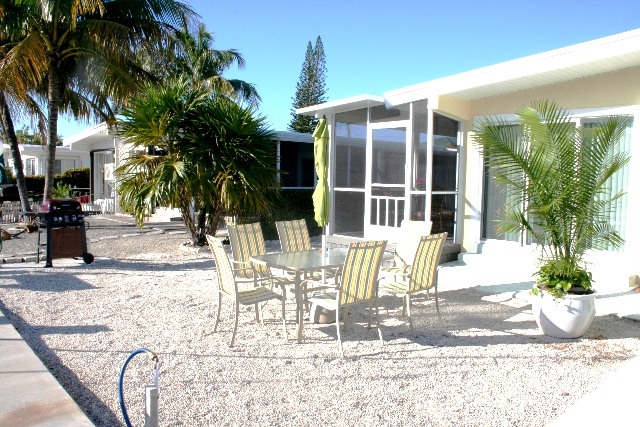 2 bedroom, 2 bath Key Colony Beach vacation rental home. The Islands of Marathon are a bird watcher’s paradise – spot roseate spoonbills, bald eagles, great blue herons and many more native to the region. The Marathon Wild Bird Center is located at Crane Point Hammock, a hardwood hammock and natural history museum. Kayak and explore the miles of tunnels under the mangroves. Snorkel and dive beautiful natural reefs. We have both shallow and deeper reefs and wrecks for more advanced divers. Every type of saltwater angling is available here! See dolphn and sea turtles in the wild or stop by the Dolphin Research Center or Turtle Hospital for a tour. This little duplex was awesome. Very clean and up to date. Comfortable beds, well equipped kitchen, nice towels. Had some nice little extras provided that we thought we would have to purchase. On a quiet street. One problem is the google map on this listing is incorrect. The house is actually on the far end of the street. Yard and screened in porch were very nice. Did some fishing from the dock but different boats on the dock nearly every day and some days 2 boats, didn't quite get that? If I had a boat I'm not sure I could have kept it there anyway. Would definitely recommend this duplex.